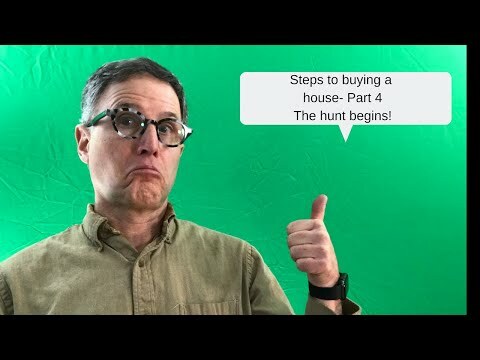 So, you're wondering about the steps to buying a house? looking at houses, and we're starting right now!! Hey everyone welcome back to my channel. new videos every week about all things real estate in the DMV. So, you're ready to start looking for a house in earnest. Think carefully about the list, and take some time to think about your list. can do that the less you'll get sidetracked once you are out there looking at properties. If there is more than one of you, each of you should have your own list. You should do them separately with no "consultation". Here's a little advice about searching online. The Internet is where 99% of people start their home search. data, and or delays in getting updated data. It's good to have more than one source for online information. I usually suggest that you have two searches set up. The first one is through your agent via the multiple list system. portal you prefer. Whichever one has the format you like best. I like to look at the search a process of elimination, not selection. help people is to think of it like a pie chart. arrive at the section of the market that works for you. decisions, the best decisions for them. sector of the market that you were interested in. This is one of the steps you need to take to become a market expert. so that they can see some of the key metrics that drive the market. You might wonder what a comparative market analysis is. The first metric is days on market, this shows you how quickly things generally sell. It lets you know how likely it is that a new listing will go under contract quickly or not. decide if it'd be appropriate to go in with an offer below the asking price. sell for in that market segment. This gives you a sense of how much negotiating room you might, or might not have. Third criteria- Are closing cost credits something that you normally see. 4th criteria Absorption rate- What is the absorption rate, and which way is it trending? if nothing new came on the market. than many other parts of the country. I like to look at four maybe five month's worth of inventory. That is an indicator of the market momentum, and where it's heading. A. I usually suggest that you don't look at more than about six properties in one session. They all start to blur together if you try and pack in a whole bunch in one day. pine paneling in the basement. house you were just in. That'll help you keep track towards the end of the day. C. Take a few minutes at the end of the tour to collect your thoughts and share them. It's interesting to see how different sets of eyes see the same house. down a few key reasons why it was the winner. That helps to keep focused down the road. So, that's part four of my series on how to buy a home in the DC metro area. videos as they come out. up here to see my video with tips about that. to watch and I'll see you again soon.